I decided to take inventory of our fridge, which can be a bit overwhelming sometimes. Let’s see… leftovers, veggies galore, drinks, and Homemade Ranch Dressing. Oh yeah, I almost forgot that I made that. I could have made a salad for my family to go with their Turkey Sub Sandwiches for dinner but I didn’t feel like listening to them complain about a salad (yeah, that’s how they are – both skinny and can eat anything they want – darn those two). Fries, tator tots or chips? Maybe… but I have a billion onions that need to be used so why not make onion rings? My usual onion ring consists of a flour, egg wash & seasoning mixture but I wanted to do something different. I’m all about trying something new, right? So off I went in my onion ring recipe search. I finally came across something that looked interesting “Panko Breaded Onion Rings”. It’s unusual that I have all of the ingredients that I need when I find a recipe. Usually the process takes a couple of days from the time it becomes a thought, to an actual food item on a plate for my family to eat. This time I actually had everything I needed for this recipe. So off I went in my adventure… and I’m happy to report that they turned out really good and got a huge thumbs up from my family! 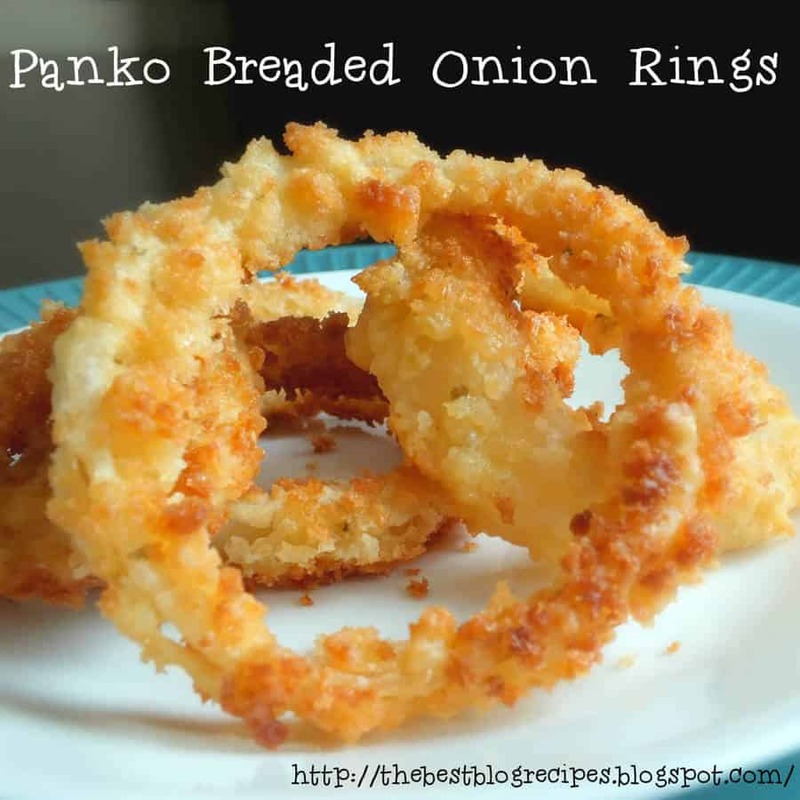 Crispy Panko Breaded Onion Rings perfect for any occasion! Slice onions to about 1/4-1/2 inch thickness. Separate slices and set aside. Set up your breading station with 3 bowls. In the second bowl whisk the eggs together. In the third bowl place your Panko Bread Crumbs. The dredging of the onions is a "double-dip" process. This allows the breading to be a bit thicker and tastier, especially if you've cut your onions into larger 1/2 inch pieces. Once your onions are placed in the hot oil they will cook and brown very fast if the oil is up too high so keep an eye on them and adjust your temperature as needed. Take out of oil when Panko Bread Crumbs turn a nice light brown color. Place on a plate covered with a napkin or paper towel to soak up excess oil from frying. Serve with your favorite dipping sauce. We used our Homemade Ranch Dressing recipe! This looks yummy! Thanks for linking up to Talkin about Thursday! I love the spaghetti recipe too! Yum! I’ve always wanted to make homemade onion rings! Might have to try this! It runs from Fri – Sun! Thanks Kathie for the invite to your party! I went over and linked up right away 🙂 I’ve also added your button to my “Link Parties” tab so that my other readers can find you too! Hope to see you there next weekend! Don’t you just love Craft O Maniac’s link parties 🙂 Thanks for stopping by and commenting! that runs from Fri – Sun! Thanks for stopping by Toni! I know what you mean about cooking things for your husband and daughter even if you don’t really like it. I do that same thing for my family all of the time! 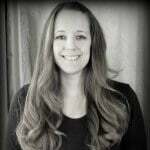 Thanks for stopping by and leaving a comment and following me on Twitter, Pinterest & Facebook! I really appreciate that 🙂 I’ll head over and check out your giveaway right now. I hope I’m not too late. This looks so scrumptious. Would love to try this!